I just found this great new direct sales company called Mary & Martha. 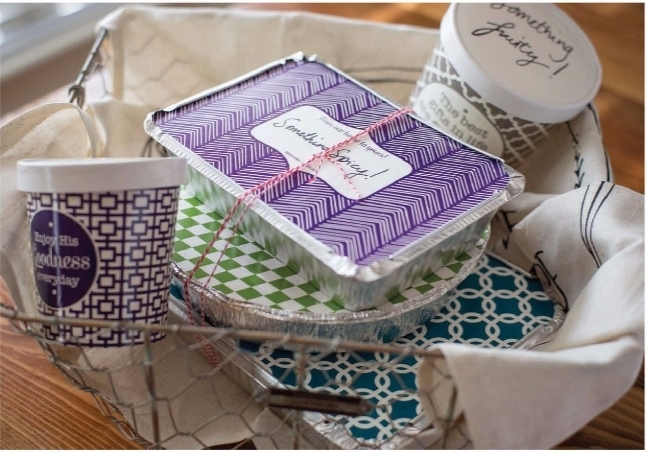 I am in love with their paper food container products. I got a variety to try out and I am in love with the quality of them. Made of a very durable paper that is sturdy and can easily hold food items. I tried out the boxes, loaf pan, serving trays, and cupcake liners. They were all very nice quality that were very easy to use. Very stylish look to them with polka dots, great for gift giving. I really loved the cupcake liners the most. They are nice and tall and are great for cupcakes, muffins, or even individual snacks. The serving trays are also very nice for entertaining. It’s a great company with a variety of products. Check out the company on their website!